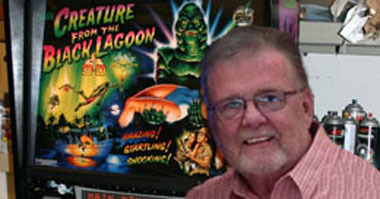 Pinball Machines: Sales, Service, Restorations. 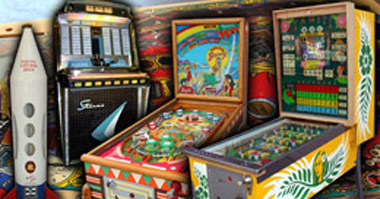 We purchase good quality, used pinball machines, then restore them to pristine condition for you to enjoy in your home for many years! 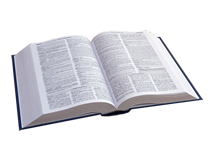 We've been in business for over 15 years and are well-known for the quality of our work, and attention to detail. Also, if you have a game that's needs some TLC, you can send it to us, and we can work our magic on your game as well. From Minty Fresh, up to a Supreme Restoration. 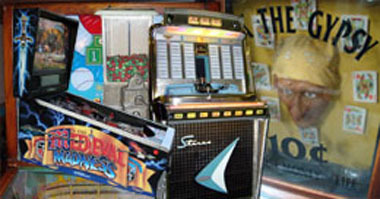 Playfield Restoration, as well as Older Arcade Machines & Jukeboxes. 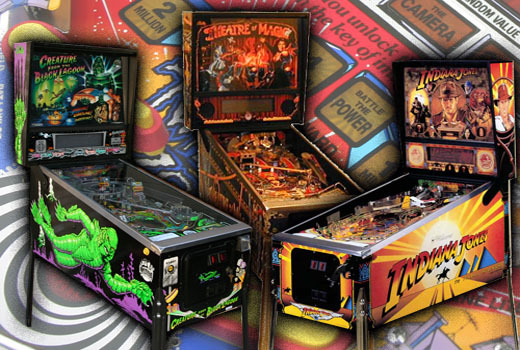 We also can restore & clearcoat your pinball playfield as well. Jukeboxes, and even SS, EM and Woodrail games are no problem for TreasureCove! Call us today for a quotation! We'll get that Jukebox rockin' like it's supposed to. 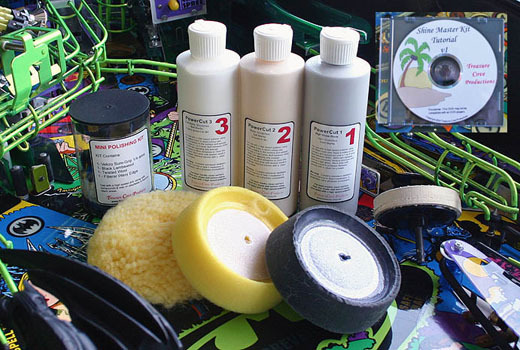 TreasureCove is known the world over for our Shinemaster Kit - a total cleaning and polishing system for you to use on your playfields. We even formulated our own Power Cut compounds to do the job right, with the least work, while providing the highest possible shine. How-To DVD included! CLICK the Button below for more info and to purchase our Polishing and Waxmaster Kits. These decals will fixup/repair your game so that it looks it's best! 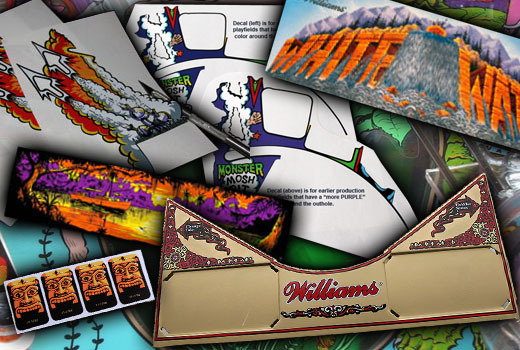 All Decals are printed on a large format Roland Vinyl Printer, then Contour-Cut for durability and ease of application. If it's Pinball, it's gotta be TreasureCove! Buy, Sell, Restore! 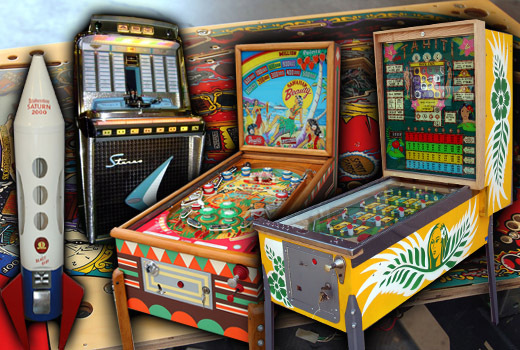 Gumball Machines, Peanut Machines, Trade Stimulators, Novelty and Arcade Machines, and late-model Pinball Machines. Just about any Coin-Op you can think of! No problem at all. We can restore your favorite coin op machine back to when it was new! If you're not happy, we're not happy! Your satisfaction is most import so anytime you have a question or concern, call us at (502) 693-1952. Copyright 2014. TreasureCove LLC. All Rights Reserved.